A man who fell ill at his remote Highlands cabin was rescued after the signal from his distress beacon was picked up in the US. The man, who is in his 70s and lives “off-grid”, uses the device in its “check-in” mode every week to let his family and friends know he is well. On Sunday he triggered an SOS, which was automatically sent to a response centre in Houston, Texas. A coastguard helicopter and Lochaber Mountain Rescue Team went to his aid. 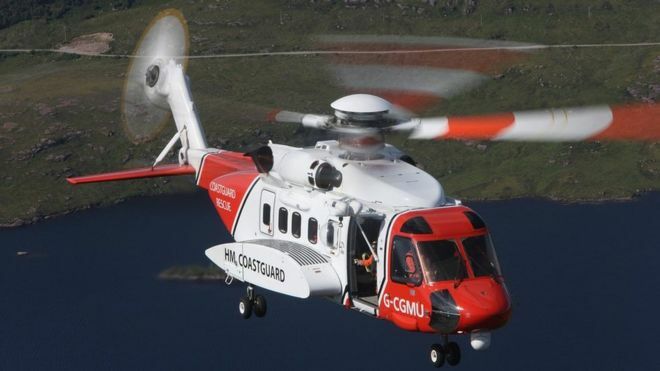 The Maritime and Coastguard Agency said the man, who has no other means of communication other than his personal locator beacon, was found to be “very ill”. Members of Lochaber MRT moved the man to a location where he could be flown to hospital by Prestwick Coastguard helicopter. They described him as one of their “off-gridders”, a term used to describe someone with their own power and water supplies and usually grows their own food. The SOS signal was picked up by the International Emergency Response Coordination Centre in Houston, which in turn notified HM Coastguard mission control centre (MCC) in Fareham. The coastguard team assessed the signal to be an emergency rather than the man’s usual Sunday “check-in” with family and friends. The man was flown to Torlundy, near Fort William, and then taken by ambulance to Fort William’s Belford Hospital. Neil Blewett, UK aeronautical operations centre controller for HM Coastguard, said the man’s rescue was an “excellent result”. He said: “When the man activated his beacon that signal went via satellite to Houston, which then gets sent to our MCC for attention. ‘In this case, the man’s activation of his beacon, the satellites and the beacon itself saved his life because without any of those we would not have known he needed urgent help.